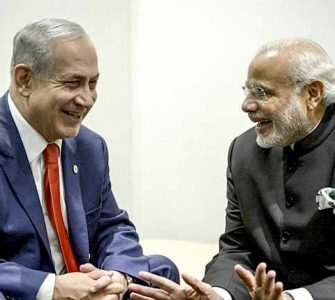 In what is being called by organizers the biggest pro-Israel, anti-terrorist rally in recent years, an estimated 20,000 gathered in India on Saturday in a show of solidarity with Israel. 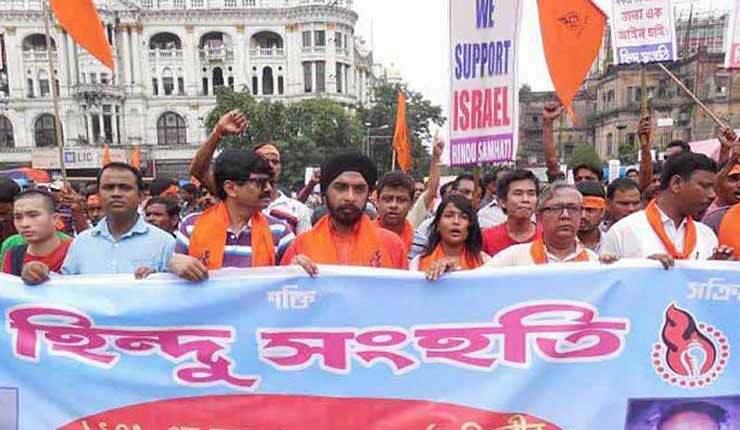 Protesters holding pro-Israel banners marched through the streets of Kolkata, while community heads delivered speeches proclaiming Israel’s right to defend itself against Hamas. “The destiny of both India and Israel as thriving democracies are intertwined. We both share the same values,” said rally organizer Tapan Ghosh. The August 16 event was organized by a political movement known as Hindu Samhati in memory of Gopal Mukhopadhyay, who, according to press material, is “a local hero who saved many innocent lives during the Great Calcutta Killing in 1946.”. The Great Calcutta Killing began “the Week of the Long Knives,” which saw thousands killed in Hindu-Muslim rioting. Tensions between the two religious groups remain in the Indian state of West Bengal, and its capital, Kolkata. Called a Hindu nationalist party in the press, Hindu Samhati head Ghosh claims the movement is nonpolitical. 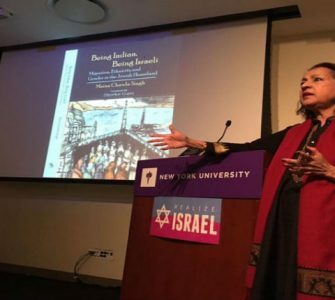 At the August 16 rally Ghosh said that both India and Israel, “surrounded by very tough neighbors,” are united in peace. 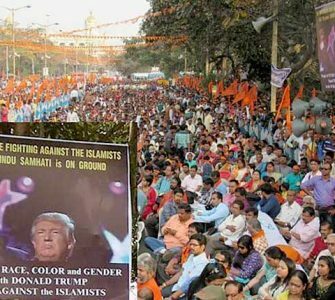 The crowd, holding placards stating “Hindus and Jews have a right to exist” and “Hindus and Jews — united against terrorism,” cheered Ghosh’s statements. Sikhs and Buddhists participated in the Hindu-organized rally as well. Representatives of West Bengal’s Sikh community spoke, while members of the Buddhist community in neighboring state Bangladesh, reeling from Muslim riots, also attended.